Since the mid-twentieth century, plastic surgery has gotten a pretty serious facelift. Gone are the days when surgical consultation, planning, implementation, and surveillance were based on qualitative, often inaccurate, observations and 2D photographs. With the rise of 3D technology came the rise of plastic surgery as we know it: a field bound by and improved by numbers. Quantifying the field meant that surgeons could do what they'd never been able to do before: take precise measurements of their patients and then use the data to provide high-quality treatment for every patient. Perhaps most importantly, surgeons used these data to understand and operate on soft tissue. In this series, we will explain how this transformation took place. We'll examine the field before photography existed, after the rise of 2D photography, and now that it has 3D technology. We'll also show you how 3D technology has transformed the field for the better—offering physicians insights previously out of reach: a look at their patients' soft-tissue profiles. Let's start with the field's history. Before 3D technology, plastic surgery wasn't the precise science it is today. In fact, all plastic surgeons had to rely on estimation during procedures. Without access to the imaging technology, surgeons had few means with which to understand their patients' soft or hard tissue, let alone what the tissue required during surgery. Some skilled doctors were able to successfully perform surgery, despite the gaps in technology and knowledge. Regardless, they—and their patients—had to contend with the ever-present and very real possibility of human error. The plastic surgery field minimized that possibility and improved the quality of surgical results with the invention of 2D photography in the mid-nineteenth century. During the late 1840s, Louis Daguerre, a French inventor, created one of the the first devices used to take photographs—the daguerreotype. Over time, the film industry refined his technique, sparking the interest of the health field in the late nineteenth century. 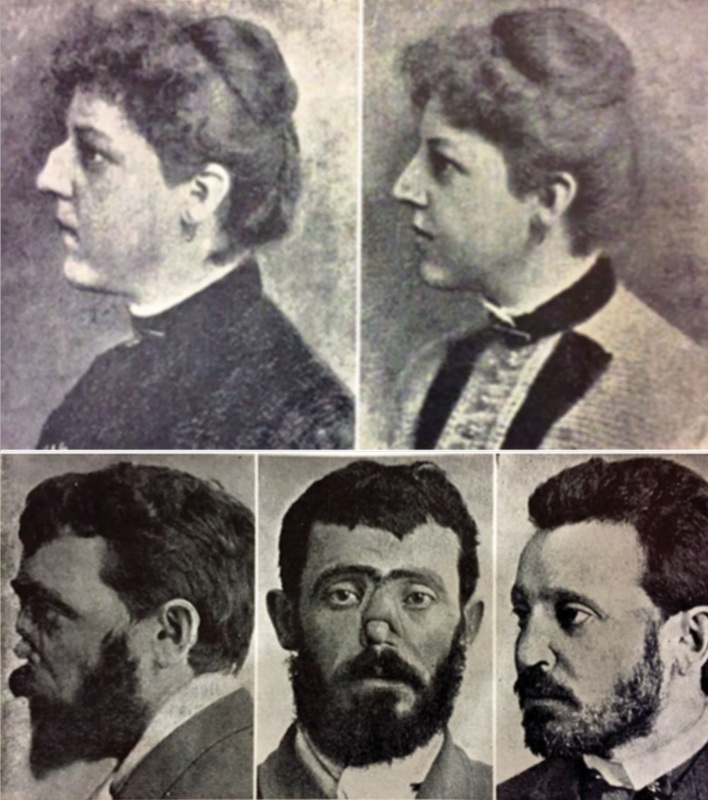 The Hungarian Janos Balassa was one of the first to document his use of photography in surgical planning and monitoring, showing how his patients looked before, during, and after reconstructive surgery. The aesthetic improvements seen in all of his facial-reconstruction patients were obvious. Janos Balassa, the first doctor to document his use of photography (Source). The benefits of photography in the health field were clear. Balassa's photos were among many examples of how photography facilitated superior surgical outcomes. Yet there was still work to be done. Part of the work to be done included giving surgeons a way to streamline surgical planning (often lengthy with 2D photography) and allowing access to more comprehensive, accurate visuals of their patients' soft tissue. Though photography helped surgeons document anatomical features prior to, during, and following surgery, they still had little to no means of analyzing patients' soft-tissue profiles. Photography didn't offer a way to grasp the placement, function, and interaction between a patient's tendons, ligaments, skin, muscles, nerves, and blood cells—among other soft tissues. Having this knowledge might have been the difference between a botched surgery and a successful one—with drastic effects on the quality of a patient's life. 3D technology gave—and is continuing to give—surgeons what photography could not: never-before-accessible knowledge of their patients, and a roadmap to best treat them. 1944 marked the first year the health field used 3D technology to perform diagnostic assessments on, plan for, and monitor the progress of plastic surgery patients post-surgery. A collection of the earliest-known photographs used in plastic surgery planning and documentation (Source). Dr. Thalmann, a physician during the mid-18th century, was the first to use the technology. Rather than rely on 2D photographs to assess patient deformities, he was able to record their 3D surface anatomy with the help of stereophotogrammetry. This technology compiled the measurements from 2D photographs and used this data to create 3D contour maps of facial anatomy. The 60 years following Dr. Thalmann's original use of the technology brought with them much innovation and ultimately enabled surgeons to seamlessly compile the data from hundreds of 2D photographs to create detailed, highly accurate morphological maps of patient anatomy. And there have been more advancements. Though the health care field had largely depended on laser scanners for 3D imaging, these intricate devices took far too long to run. Modern-day 3D stereophotogrammetry can record and display 3D images within milliseconds. The traditional laser scanner (left) is now being replaced by the stereophotogrammetry device (right) to produce high-quality 3D images in milliseconds (Source). Even better, the technology is cost-effective. A handheld camera that can produce 3D images can cost around $10,000, a price tag comparable to 2D reflex cameras. In addition to making financial sense, this 3D technology has become integral to preoperative consultation and analysis, surgical planning, and post-surgery consultation. Let's take a closer look at how it's used throughout the entire plastic surgery process, from pre-op planning to post-op consultation. Improves knowledge of patient morphology: Unlike 2D photography, 3D imaging offers insight into the composition of a patient's soft tissue. This helps both the surgeon and the patient understand the locations of and interactions between tissue, including muscles, blood vessels, and skin—all important to aesthetically pleasing and functional surgical outcomes. Improves simulation of surgical outcomes: Using 3D technology to provide a detailed map of patient morphology, surgeons are able to easily alter each image. Within seconds, they are able to manipulate the measurements of patient anatomy and create an image reflective of how the patient will look postsurgery. Sets clear expectations for surgical outcomes: Once this postsurgery image is made, the patient is left with a clear understanding of what can be expected from the procedure. This assuages any lingering surgery-related anxiety, which in turn strengthens the patient's trust in the physician. The benefits of 3D modeling also hit closer to home for the surgeon, making planning for surgery easier and more accurate than ever. In addition to easing patient–physician communication, 3D modeling makes the surgeon's job much easier. The technology helps physicians more efficiently plan for surgery in one key way: It quantifies the previously unquantifiable. In other words, it allows the surgeon to measure what he or she had to otherwise guesstimate with 2D photography. Soft-tissue volumetric analyses, for example, were never possible before 3D technology. Now, after recording an original 3D image of the patient, physicians can measure soft-tissue deficits when preparing for surgeries, such as medial cheek augmentations. 3D imaging enables scientists to identify and plan how to repair soft-tissue volumetric deficits, among other issues (Source). Having numbers on and being able to manipulate the measurements of patient soft tissue means that surgeons better understand the problems they are trying to fix—and how best to fix them. The final way in which 3D modeling is changing the game for plastic surgeons is through postsurgery monitoring. Surgeons are able to again take patient soft-tissue measurements and ensure that surgery was done according to plan. Postoperative soft-tissue monitoring is possible with 3D technology (Source). Plastic surgeons can also use 3D technology to monitor patient soft tissue indefinitely. This means that if there are any anatomical complications post-surgery, surgeons can identify and address them early on. 3D modeling is, without a doubt, one of the most significant advancements in the field of plastic surgery. The next frontier is centralized software that offers surgeons all of the benefits of 3D modeling while centralizing their data and documents in one location. MirrorMe3D is making this happen. This year, we will release new software that enables plastic surgeons to do everything already discussed, along with so much more. Using highly secure technology, surgeons will be able to collaborate with one another about a patients' data, visuals, planning, and implementation. All patient information will be in one place, making viewing, storing, planning, surveilling, and recalling easier and more accurate than ever. It's an exciting advancement, with benefits which plastic surgeons and their patients will reap for years to come.